A British PhD student has been charged with spying on Monday by United Arab Emirates (UAE) authorities. 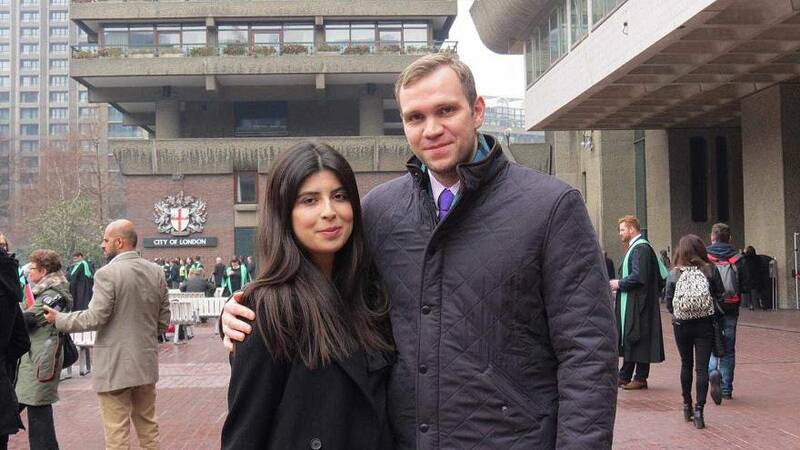 "The Attorney General of United Arab Emirates ... confirmed today that Mr Matthew Hedges, a British Citizen, has been charged with spying for and on behalf of a foreign State, jeopardizing the military, economy and political security of the UAE," the government said in a statement. The statement continued: “It is the longstanding policy of successive UK governments not to comment on intelligence matters." Hedges, a doctoral student at Durham University, has spent five months in jail after he was arrested on May 5 at Dubai airport at the end of a study trip, his wife Daniela Tejeda said. Local investigators claim they gathered evidence by rummaging through Hedges’ electronic devices and from intelligence done by UAE security agencies. In an October 11 tweet, British foreign secretary Jeremy Hunt said he was "extremely concerned" about Matthew Hedges and had "raised the issue "twice with the foreign minister and stressed the need for regular consular access, fair and human treatment as well as due process which is essential." According to his wife, Hedges, who travelled to the UAE to carry out academic research, has only been granted two consular visits since his arrest. In a statement released yesterday, Tejeda said she had not received any information from the UAE nor the British Foreign Office that Matthew had been taken to court on Monday and had been informed that his trial is going to resume on Wednesday, October 24. "My husband Matt has not received appropriate medical care and attention, especially in regard to his mental health," she added. "Matt has been kept in solitary confinement for over 5 months. Matt does not speak Arabic and is therefore unable to communicate fully with the court-appointed lawyer, who he has only met once, at his court hearing last week." The 31-year-old appeared at a court hearing in Abu Dhabi last week after a first hearing earlier in the month, but was not informed of any charges, Tejeda said. She also claimed since he was detained on May 5, 2018, he has only been granted two consular visits which she said "is in direct violation of his rights". "Matt is a man of integrity and principle. He has a brilliant academic mind and an impeccable track record. He is kind and caring and greatly loved and respected. Please send him home,” Tejeda concluded. According to the Durham University website, Hedges is a doctoral student in the School of Government and International Affairs and had co-authored a paper about the Muslim Brotherhood and the Gulf Cooperation Council. A Durham University spokesperson told Euronews their vice-chancellor had written to the UAE ambassador to the UK "raising concerns about the student's detention". “We are aware that one of our PhD students, Matt Hedges, has been detained in Abu Dhabi. The university also remains in contact with Hedges' family and friends and has put a temporary halt on research travel to the UAE by foreign students until the reasons for Hedges' detention is established.